Pound bulls, watch out! GBP/AUD has been on a strong rally in the past few weeks, but it appears to be stalling at a resistance level and may head back south soon. The pair is having a tough time extending its climb past the 1.8000 area, which lines up with the 61.8% Fibonacci retracement level and the broken rising trend line. If this area continues to hold as a ceiling, GBP/AUD could resume its drop and probably test its previous lows near the 1.7200 major psychological support. Stochastic has already reached the oversold zone though, which suggests that buyers could still try to push the pair back up. Here’s another look at that USD/CAD chart I showed y’all yesterday. 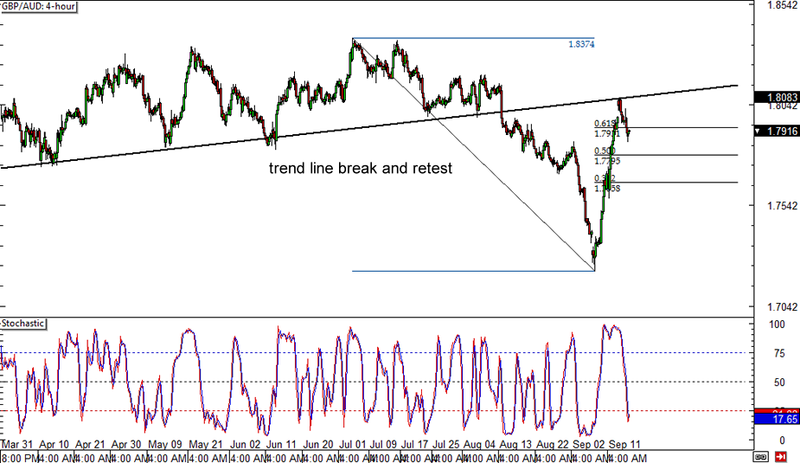 While the 1-hour forex time frame had a rising trend line and SMA support zone, the 4-hour chart indicates that price could also find support at an area of interest just above the 1.0950 minor psychological mark. 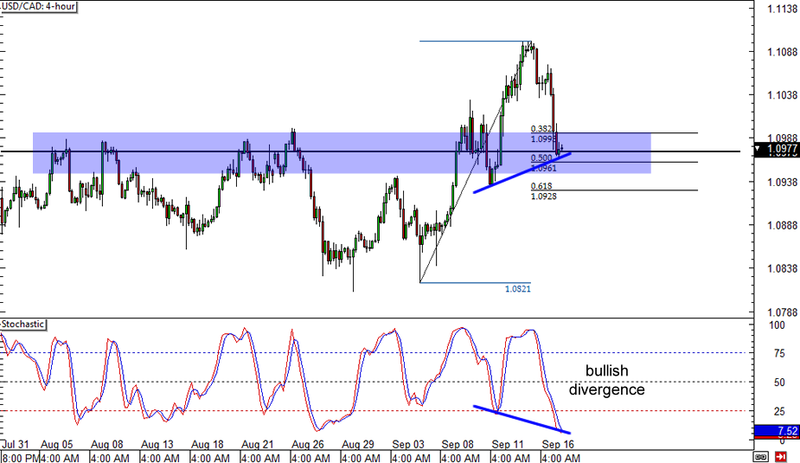 At the same time, a bullish divergence can be seen, as stochastic made lower lows while price made higher lows. For now, the indicator has yet to cross above the oversold area before confirming the potential rally. 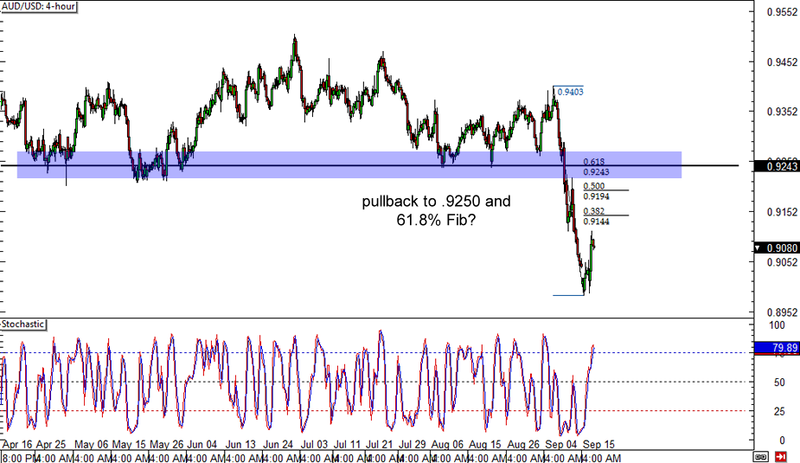 Make sure you review the 9 Rules for Trading Divergences if you’re planning to go long! Last but certainly not least is a break-and-retest scenario that’s just materializing. It looks like the .9000 major psychological support zone has held like a boss for AUD/USD, as the pair had no choice but to bounce from this floor recently. The latest selloff has been pretty sharp though, which suggests that bears might still be in control even if the pair pulls up for a while. The retracement might last until the 61.8% Fibonacci level, which lines up with a broken support level and the .9250 minor psychological handle. Stochastic is barely in the overbought area, which shows that there’s a bit of buying pressure left to push AUD/USD up to the Fib levels.